Since it premiered in 2013, “Orange Is the New Black” has helped shine a light on the inherent injustices of the American criminal justice system. The Netflix prison dramedy continues that tradition in its latest season, but its most compelling argument is more about the show itself: It’s time for it to end. Season 6 finds many of Litchfield’s inmates serving out their sentences in maximum security after the riot that upended life at the minimum security prison last season. The show, reasonably, introduces a few new inmates, but none are interesting enough to justify the amount of attention the show devotes to them. 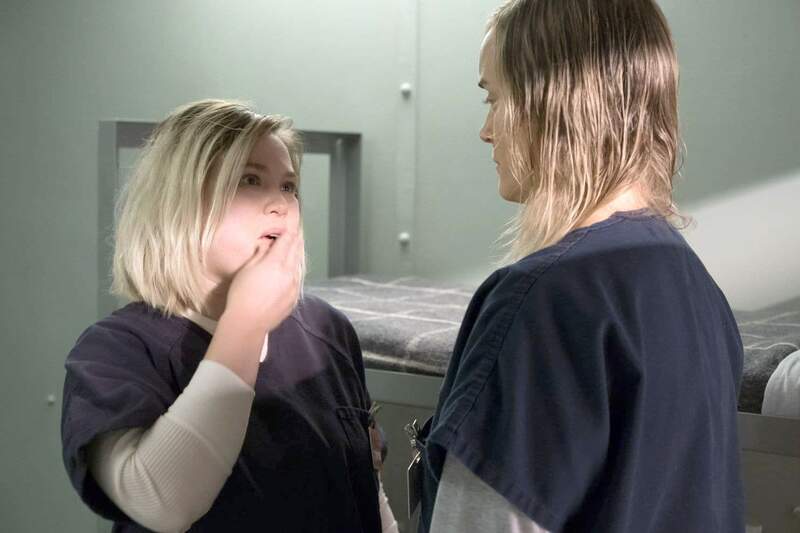 The worst offender is Badison (Amanda Fuller), a Boston-bred prisoner whose corny jokes and self-given moniker make her possibly the most annoying inmate in “OITNB” history – yes, even more annoying than Piper (Taylor Schilling). Then there’s Carol (Henny Russell) and Barbara (Mackenzie Phillips), a pair of homicidal sisters whose perpetual war with each other and their respective prison blocks is only occasionally entertaining. The show’s focus on unfamiliar faces also means that several of Litchfield’s fan favorites get lost in the shuffle. Suzanne “Crazy Eyes” Warren is given plenty of lines, but the talents of Uzo Aduba – a two-time Emmy winner for the role – seem underused. Galina “Red” Reznikov (Kate Mulgrew) adapts to the politics of max in ways that seem out of character for a woman who served as “prison mom” to about a third of Litchfield’s minimum security population. And Season 6 does even more damage with respect to the infuriating relationship between Tiffany “Pennsatucky” Doggett (Taryn Manning) and Charlie Coates (James McMenamin), the corrections officer who raped her in Season 3. This season’s misguided priorities are particularly confounding given that the show has markedly more compelling material to work with. The riot becomes the prison’s festering wound with some inmates trying to protect themselves at all costs, and others out for more blood. Multiple inmates find themselves pressured to confess to their roles in the brawl – or implicate their fellow inmates. The most worthy story line follows Taystee (Danielle Brooks), who finds herself wrongly on the hook for the murder of rogue prison guard Desi Piscatella (Brad William Henke). Taystee becomes somewhat of a folk hero in the aftermath of the riot, which she admits she instigated in an effort to get justice for her friend Poussey (Samira Wiley), who was murdered by a prison guard in Season 4. Taystee’s plight lands her help from the American Civil Liberties Union, Black Lives Matter supporters and the nonprofit journalism organization ProPublica, which interviews her about the harsh prison conditions the riot brought to light. The “OITNB” writers’ room does some of its best work around Taystee’s trial for Piscatella’s murder – from flashbacks to her pre-prison friendship with a corrections officer to her heart-wrenching courtroom testimony, in which she anxiously corrects her grammar for the predominantly white jury. Even more haunting is the moment Taystee realizes one of her close friends has implicated her in an effort to save herself. Brooks brings her A-game to every scene. Amid all of the competing story lines, it’s easy to feel less invested in other inmates like Daya Diaz (Dascha Polanco) and the pregnant Lorna Morello (Yael Stone) despite their ample screen time. It’s even easier to dismiss the guards, only some of whom prove themselves worthy of a viewer’s compassion. Depending upon where you’ve landed the past five seasons, you may or may not find yourself interested in what’s happening with Piper. The season builds up to a subtly powerful finale, but takes far too long to get there. “OITNB,” which has been renewed through Season 7, ultimately winds up with the perfect setup for the show’s final bow. Here’s hoping the show makes it count.